Historical Romance Giveaway – Enter by February 12th! What better way is there to celebrate the month of love than by diving into a new romance? 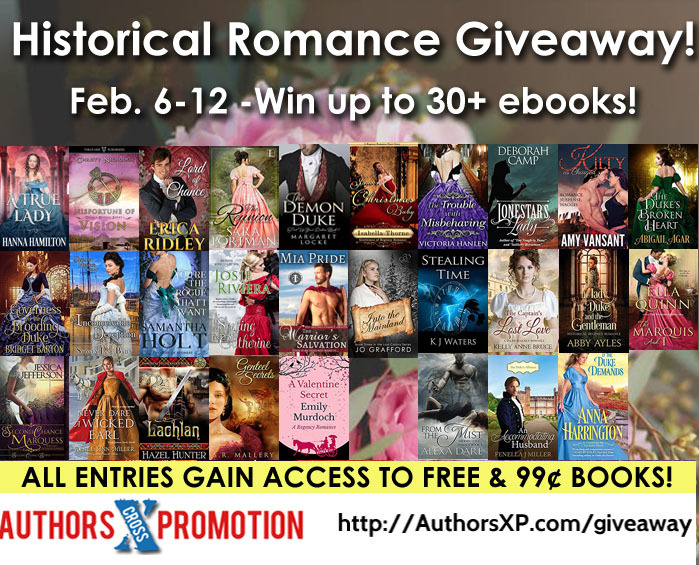 Enter the Authors Cross Promotion historical romance giveaway and you could win up to 30+ ebooks. But you’ve only got until February 12th to sign up, so don’t delay! Psst…BONUS! I’ve put all of my own books on sale this month for only $0.99 each! 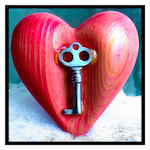 Fall in love with the magic and/or get to know the Demon Duke’s secret today! Links to retailers for each book are in my Books section. This entry was posted in A Man of Character, A Matter of Time, A Scandalous Matter, The Demon Duke by Margaret. Bookmark the permalink. ← Previous Previous post: 2018 Update: A Sale, A New Facebook Group, A New Book, A Quiz, and more! Next → Next post: The Demon Duke earned a Publishers Weekly STARRED Review!